Costume masks size: 18 x 22 cm/ 7.1 x 8.7 inches. White mask material: paper pulp. DIY masks package: 10 x blank masks. The costume masks are perfect for classroom projects, drawing class, masquerade, costume parties, school work, hand painted education tools. Ships from Hong Kong. These painting mask is made of paper pulp. These diy masks are suitable for paint or markers. Also suitable for 3D elements such as sequins, beads or feathers. It is recommended to use acrylic paint, washable markers or permanent markers for decorating the masks. 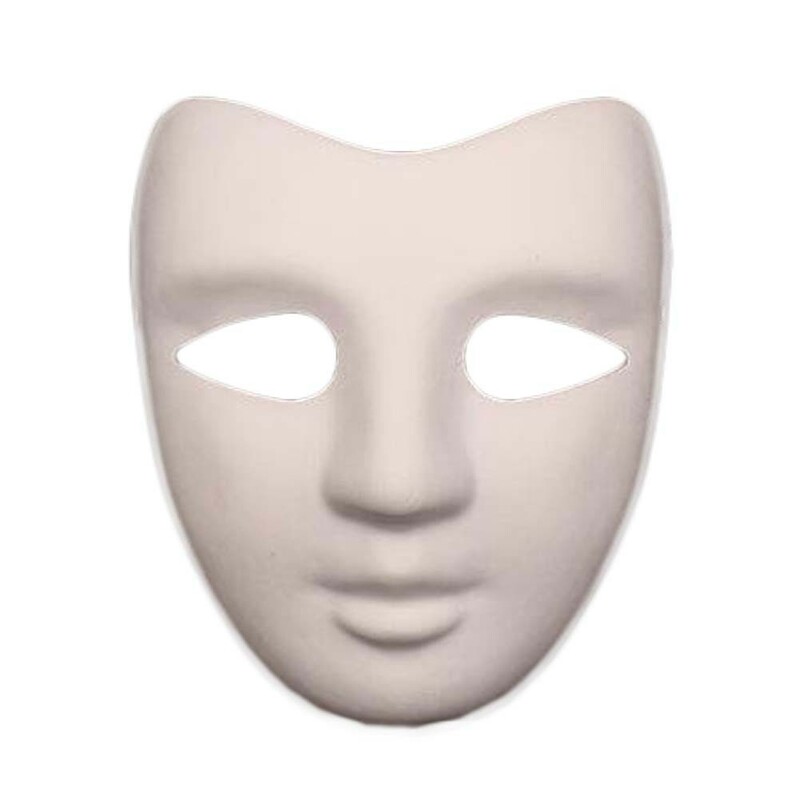 The costume masks are perfect for classroom projects, drawing class, masquerade, Mardi gras, cosplay, costume parties, Halloween parties, sleep overs, birthday parties, school work or just having fun around the house and school. recommended age: 5 years old & Up. Fun and educational toys for children. Hand painted. Education Tools.